You are viewing a video on YouTube, Vimeo or some other video site for work or for pleasure. You thoroughly enjoy the video and want to view it at a future point in time. That said, there is no guarantee that the video will be available when you want to view it. In these sort of circumstances, you will want to consider using an online URL video downloader. 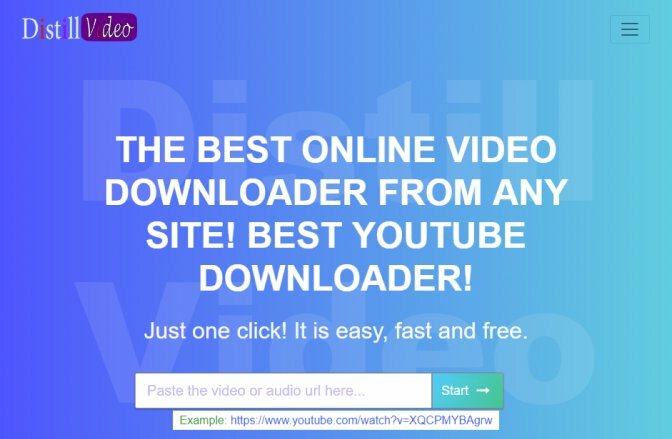 An online URL video downloader is a simple tool. It works by using a URL to download a video from a link directly to your computer. Once you save the video to your hard drive, you can view it whenever you’d like. You may be wondering why you don’t just simply save every video to your computer instead of watching the stream. There are several reasons why you shouldn’t do this. First, downloading long movies and full seasons of TV series to your hard drive takes up space on your computer. After saving several videos, you may come across space limitations on your computer. But beyond your computer’s storage, you must be careful about the recordings you download. Videos on the internet are governed by copyright law. If a video is protected by copyright and you have not received permission by the owner, you, in all likelihood, cannot legally download the movie/episode/YouTube video. If you have any questions, you may want to exercise caution or, if necessary, speak with a lawyer. That said, if you have the required permissions, an internet video downloader can be a great tool to quickly grab videos and save them to your computer. This leads to the question: what is the best website to download videos? Because there are many downloaders on the internet, we have collected our list of best online video downloaders. As always, the following list is not ranked in any way. Rather, we simply wanted to share a collection of software that can help you get ahold of any video online. SaveFrom.net works directly in your browser. It is a no-frills piece of software. To get started, all you have to do is insert a link to your video into the toolbar at the top of the page. From there, you click the arrow to proceed. You can download the media file either from the SaveFrom.net Helper or by downloading it in your browser. That said, if you use the SaveFrom.net Helper, you are able to download files in more formats than you would if you downloaded via your browser. The SaveFrom.net Helper also allows you to save the video in full HD or 4K, and you can use the SaveFrom.net Helper in browsers like Chrome, Firefox, Safari, and Opera. By using SaveFrom.net, you can download clips from some of the most popular video sites like YouTube, Vimeo, Daily Motion, Facebook, and VK. SaveFrom.net also contains some helpful frequently access questions which you can access here. Catchvideo.net, like SaveFrom.net, contains a simple toolbar where you can insert the link to a video you’d like to get. After clicking the “Catch!” button, you have the ability to save your video in various forms, including MP4, WebM, or 3GP. Catchvideo.net also offers an extension for your browser so that you can download more quickly as you are browsing the internet. Catchvideo.net can help you get videos from YouTube, Facebook, Vimeo, Daily Motion, and a wide range of additional video websites. Catchvideo.net makes it clear, however, that videos subject to copyright (like Vevo videos and others containing music) cannot be fetched by using its tool. In addition, Catchvideo.net offers several other useful tools, including a Facebook downloader for Android, an Android utility to easily convert a URL to video and audio, and a tool for mixing HD YouTube videos (available on Windows and Linux). You can find more information on these other tools by visiting Catchvideo.net’s website. Convert.io is another tool to download clips from a link on the internet. It describes itself as “the easiest way to download and convert YouTube to MP3 or MP4.” Convert.io prides itself on its ease of use. All users need to do is copy a YouTube URL, paste it into Convert.io, and click the “Convert” button to get their video. 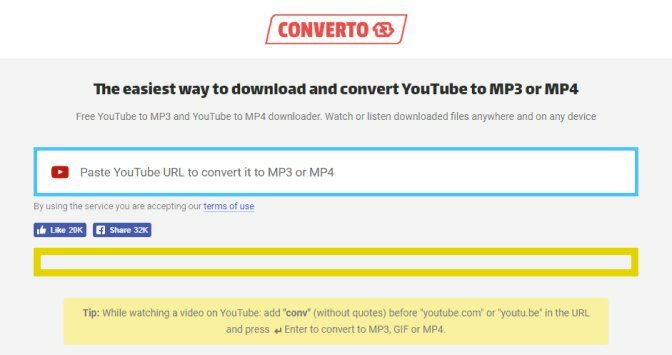 Convert.io allows users to download and convert any YouTube video to MP3 or MP4 formats without having to download and install any special software. The service is also helpful in that you can edit the file name, ID3 tags, specific excerpts from the video, and the video quality all before downloading. If you are saving a video in MP3 format, Convert.io also automatically adds album art to the file. Created by AmoyShare, Free YouTube Downloader is another web-based app. Here users immediately see a toolbox where they copy and paste YouTube URLs. From there, users can play the video or save it directly to their computer. Free YouTube Downloader offers users a bevy of features and flexibility. They can save YouTube videos to MP4, 3GP, and MKV formats and easily download multiple clips in a YouTube playlist. While Free YouTube Downloader is clearly focused on YouTube, users can also get videos from over 1,000 websites – including Facebook, Twitter, and Instagram. DistillVideo is another app that you can use for free. Users simply copy and paste a video or audio URL into the toolbox and are led to a screen where they can download the target media file. From there, the video is presented in different formats, including MP4, WebM, and 3GP. You can also remove the sound from the video while processing. 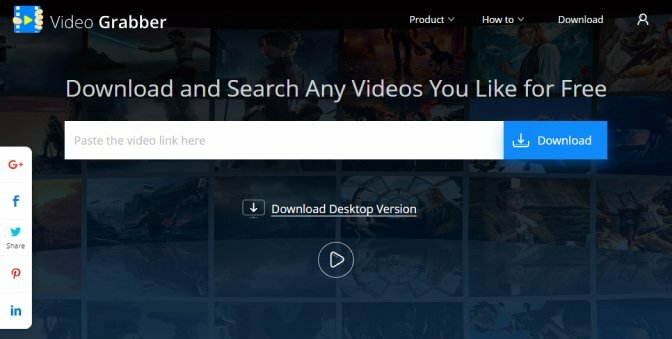 DistillVideo doesn’t require you to download any software to your computer. Everything is processed on the cloud and DistillVideo does not contain any spyware. DistillVideo works on any browser, whether you are using Windows, Mac or Linux. If you need help using DistillVideo, the creators have released a comprehensive list of frequently asked questions here. ClipConverter.CC is a media downloading platform with a lot of options for you. Looking for a URL downloader? Here it is, right on the main page! Need a browser addon? Here are the ones for Google Chrome, Safari, and Firefox. The app’s primary purpose is to download from YouTube. The list of formats includes both video and audio (MP3, M4A, AAC, MP4, 3GP, AVI, etc). Its reliability and user-friendly interface is the website’s biggest advantage. Finally, here’s Video Grabber – the latest addition to the list. This website is incredibly easy to use, it allows you to download 720p footage without any payment, which may be just enough for those who prefer watching videos from smaller devices like phones and tablets. The website also has a very useful “how-to” section, which answers the majority of the questions you may face while using the platform. So, if you want something simple, this site may be just what you want. An online video saver can be a great addition to your internet toolkit. By using any of the free video download sites described above, we are confident that you will be able to successfully save and keep the video that you desire. But beyond the five apps that we mentioned, we also wanted to share another tool that can help you capture videos that you find online. 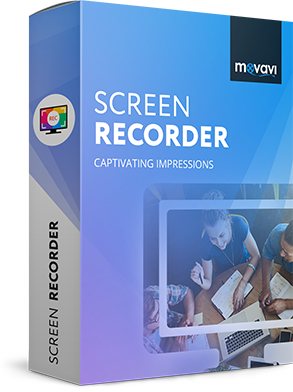 Movavi’s Screen Recorder lets you capture online videos when you are browsing the internet. To learn more about Screen Recorder’s online video capture feature – along with its many other features – please click here.